Tom Clancy’s Rainbow Six Siege is into its third year of content. 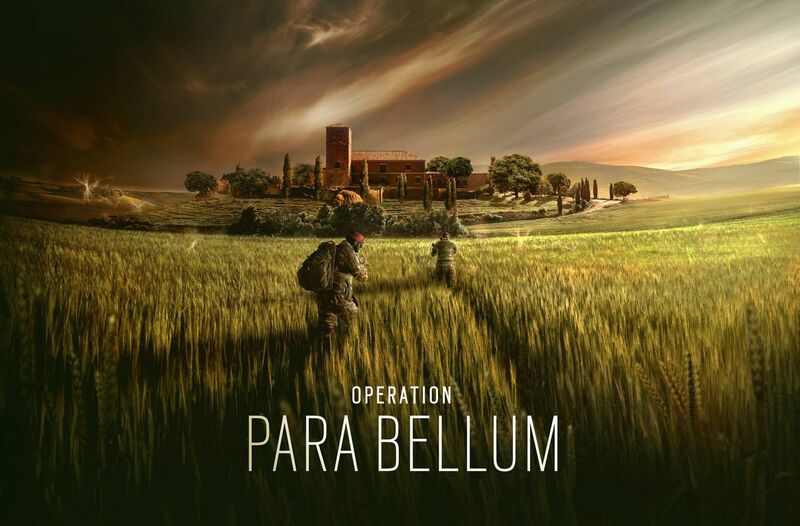 Following the CBRN-themed “Operation Chimera” is “Operation Para Bellum.” The second content drop is all about Italy. The new map Villa is set in the Italian country side and is full of twists and turns. To balance out the two attackers from “Operation Chimera” are two defenders from Italy’s Gruppo Intervento Speciale (GIS), Alibi and Maestro. While story was never a huge part of Tom Clancy’s Rainbow Six Siege, I have always enjoyed reading the backgrounds Ubisoft Montreal provides each operator. 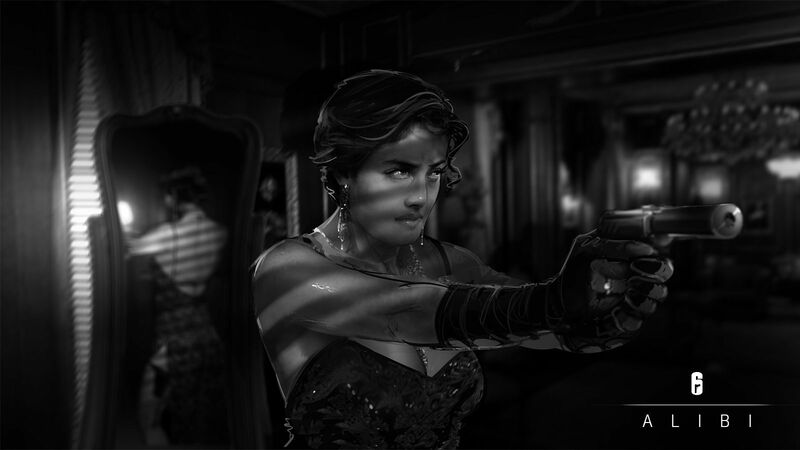 The operator backgrounds have become longer and more fleshed out in the past few releases, and I’m glad Ubisoft is continuing the trend with “Operation Para Bellum.” I am actually starting to see more of Rainbow Six Siege’s backstory finally appearing with this update, with references to political intrigue involving Rainbow in Alibi’s psychological profile. Alibi and Maestro feel like characters from opposite ends of the spectrum. 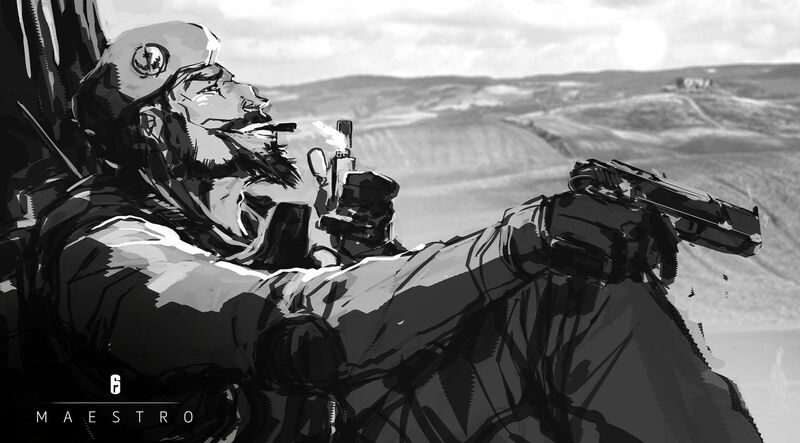 Alibi is an immigrant from the former Italian colony of Libya and comes from an upper middle-class background. On the other hand, Maestro is the oldest son of a poor, working class family. Alibi is a lightly armoured defender designed to hide the identity of teammates from outside overwatch and Lion’s ability. Additionally, she comes with three Prismas that creates a clone of Alibi that is designed to draw fire and tracks the location of any enemy that interacts with the Prisma. The clone is dressed up in Alibi’s default skin and holds her Mx4 Storm submachine gun. For context, I played Rainbow Six Siege heavily in the first few weeks after launch. Since then, I have only put in a few hours in the game and am no where near an experienced player anymore. I quickly realized after my first few rounds that Alibi is not a newbie friendly class. To use the Prismas effectively, a good Alibi needs to know player habits and map layouts while having a good dose of creativity. A well placed Prisma provides important information about the opposing team, which goes a long was in a game like Siege. Maestro is a much slower character armed with a nearly indestructible camera that can trade invulnerability for a small laser to chip away at enemy health. As its only vulnerable to explosives or when the hatch is open for the laser, Maestro’s ability is a bit easier to use to less experienced players like me. The camera is tougher than Valkyrie’s cameras, but the larger size of Maestro’s cameras means they can only be placed on walls and floors. The cameras can see through smoke like the new indestructible cameras and can be an absolute pest when used correctly. The weapons in “Operation Para Bellum” are a bit of a mixed bag. Alibi and Maestro both have access to the ACS12 automatic shotgun, the Bailiff 410 shotgun revolver, and the Keratos .357 revolver. I found the ACS12 to be great at blowing open holes in walls and that’s about it. The rate of fire and recoil are a bit too high compared to the shotgun’s effective range. Both revolvers work well enough, though I’m secretly sad that one of Beretta’s many semi-automatic pistols did not make it into the update. Alibi’s exclusive weapon is the Mx4 Storm SMG. It’s damage is on the lower end, but it makes up with a fast rate of fire. Maestro’s exclusive weapon is the ALDA 5.56. Like the Storm, it doesn’t do much in damage either. The ALDA 5.56 more than compensates with a high rate of fire and impressive hip fire accuracy. The thing is a beast and I love it. I find with the growing number of maps in rotation, it is getting harder and harder to spend more time on the newest maps. But finally getting onto Villa is a load of fun. It’s a large map with lots of tightly pack rooms. The resulting twists and turns leads for intense close quarter battles that showcases what Rainbow Six Siege is all about. A few long hallways are scattered in to break up the action, letting designated marksman have some fun, too. Like many operators in Rainbow Six Siege, Maestro and Alibi’s character design are probably more military fantasy than actual accuracy. It works in Siege’s favour as it makes the game look a lot more interesting. Both are geared in a manner that reflects their armour and speed ratings. The red berets are a nice accentuation to their dark green uniforms, which appears to be pretty close to Italy’s vegetata pattern. The voice acting is solid, though I can’t vouch for the accuracy of the Italian accents. “Operation Para Bellum” is a solid addition to Tom Clancy’s Rainbow Six Siege. Maestro is a nice, straight forward defender wielding a beast of a machine gun. I like the creative opportunities Alibi offers and look forward to seeing some ridiculous gameplay footage of more skilled players than me on YouTube. My only real complaint is that the ACS12 shotgun needs to be tweaked as it feels a too difficult to control for its actual damage output. “Operation Para Bellum” offers a something for Rainbow Six Siege players new and old.